Synopsis Like Alice in a brutally violent Wonderland, music executive Ray Saxx, Jr. is trapped in K-11, a very unique part of the Los Angeles County Prison System. He was out cold when he arrived and he has no idea how he got there - all he knows is he needs to get the hell out…alive and intact. To do that Ray must navigate through a maze of drug addled-transvestite-criminal politics with obstacles at every turn. 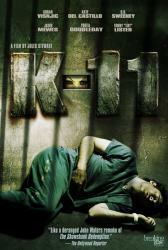 Insane cellmates, corrupt guards and his own issues are just a few of what he’s dealing with while he pieces together his means of release from this entirely new brand of hell, K-11.